Endeavor is our standout performance bull for 2010-11. He offers a unique pedigree in a homo black, homo polled performance package, yet has a neat front end and stylish look about him. We have been very pleased with his first and second calf crop. His calves have plenty of style and length combined with high growth. As we had hoped, he crosses very well on the moderate framed Shear Force daughters that we were looking to add a bit a performance back into. 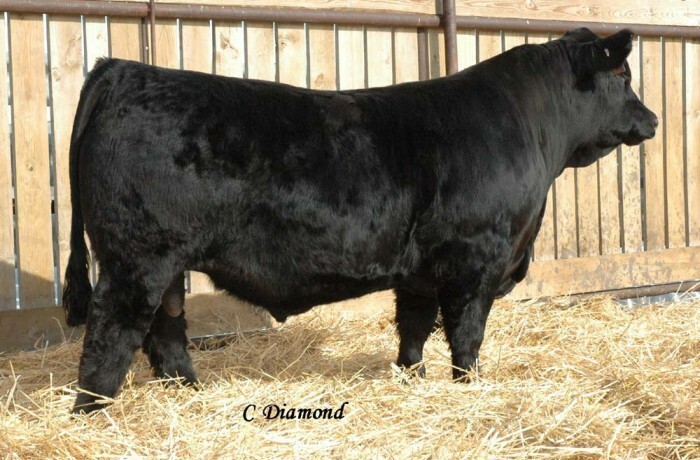 His donor dam 46S is a high performance female that has a 105 weaning ratio on her first 5 calves and produced our high selling bull in 2009, CDI Entourage 156U.